It is replaced by the Panasonic WV-NW484S. 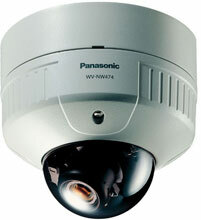 The vandal-proof camera from Panasonic, WV-NW474S is capable of supporting both digital and analog networks. The WV-NW474S is the latest addition to Panasonic's full line of vandal proof cameras and can be connected directly to both digital and analog networks. When connected to an Ethernet port, you can monitor its output or adjust settings from a networked PC. 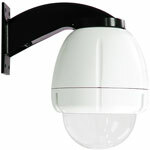 An analog interface is also provided, allowing you to connect it to existing coaxial cable-based surveillance system. The ultra-tough, vandal proof body is power packed with a 2x variable-focal lens, Super Dynamic II Technology, and automatic Day/Night switching for 24-hour monitoring. 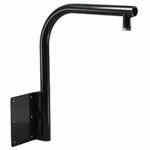 Plus, with its new networking capabilities, the WV-NW474S is just the solution you need for a variety of security applications.